Petunias come in a large number of varieties, and you can save the expense of buying new seeds and transplants every year if you collect and save the seeds. You will find these small seed pods under the petals once the flowers start fading. You must know the right time to collect these seeds though, since they are really tiny and may get lost when the seed pods split open.If you want spring blooms, then you must get started indoors 6 to 8 weeks before the last frost. 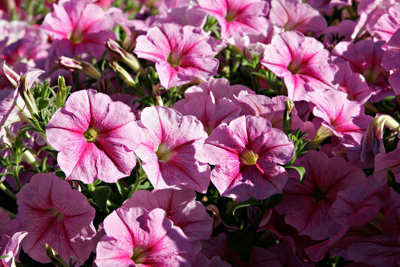 Ensure that your petunia flowers are checked daily for drooping petals or wilting, and be ready to collect the seeds when the blooms start showing signs of fading. Petunias grow from seeds and can be either seeded into your flower garden directly or indoors for transplantation at a later date. Take a small cloth bag and place it on top of the flower head when you see the petals withering. You can use a paper clip to attach the bag firmly to the flower stem. When the seed pod begins to split, cut off the flower stem off and release the seeds. Take off the bag without spilling any seeds. Now hold the pod over the bag and split it open to take out all the seeds. Take an envelope and note down the petunia variety and year harvested on it, put the seeds inside, and store the envelope in a cool, dry place. You will need it again when it is time to replant the seeds. Remember these seeds can only be used for two to three years. How To Grow Mexican Petunia ? How To Grow Petunias From Seeds ? 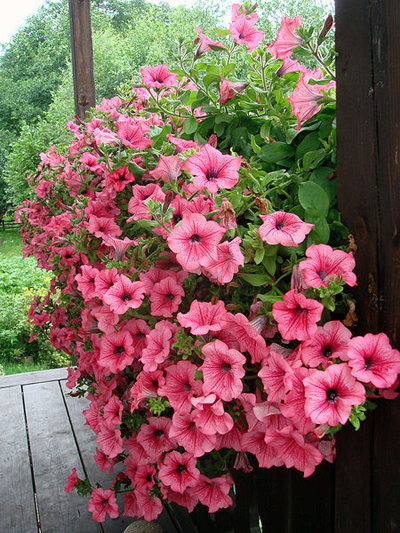 Mexican petunias are grown from seeds, and take about a week or so to grow. This plant simply loves the sunshine and brightness, and thrives under such conditions. Give the plant the hot and sunny climate it wants, and you will be thanked with the appearance of a foliage that is of a lovely metallic blue color, which will provide the ideal backdrop for the many stunning blue flowers that will adorn your garden during summer. More..